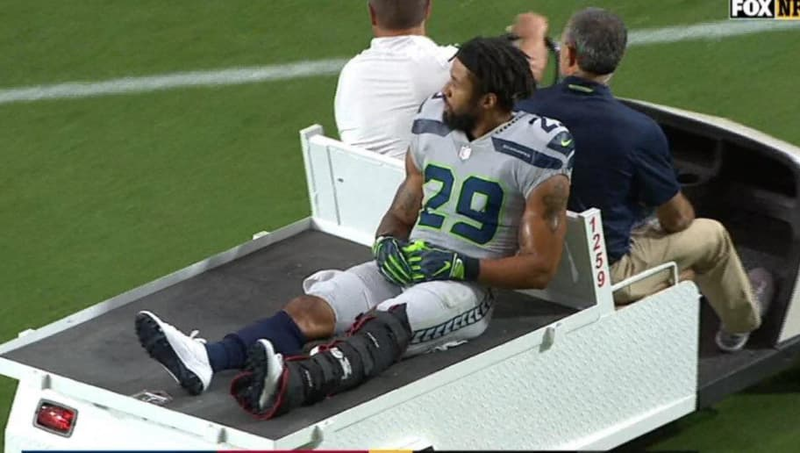 ​Is this how Earl Thomas' career with the Seahawks is going to end? On Sunday against the Cardinals, Thomas appeared to suffer a potentially-serious leg injury, as he was carted off the field in the fourth quarter. However, as if that news wasn't enough, Thomas decided to send a special message to the Seahawks sideline on his way out. ​​My God. The middle finger? Thomas, as we all know, was a preseason holdout due to contract disputes, but then showed up to the team facility right before the start of the regular season. He's had beef with the Seahawks coaches and front office for months now. This is clearly his anger with them boiling over. Will No. 29 be able to play for Seattle again this season or ever? If he's flipping the bird to the team on his way off the field, it's looking unlikely.